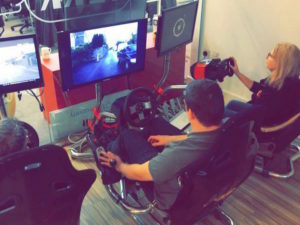 EDAM Group, a specialist provider of credit hire services, has deployed driving simulators to demonstrate to staff the risks of driving while distracted or under the influence of alcohol. EDAM Group team members undertook hazard perceptions tests as part of the exercise. Part of the company’s activities for Road Safety Week, the exercise saw nearly 100 EDAM Group team members put behind the wheel to underline the everyday dangers they face when behind the wheel. The simulator introduced three common distractions to participants, resulting in 69% losing control of the vehicle, demonstrating the impact external factors can have on driver concentration. Drivers’ skills were also put to the test while wearing s-called beer goggles, with only two participants able to complete the task while ‘under the influence’. The group’s activity for Road Safety Week also included lunch ‘n’ learn sessions, internal quizzes and competitions, and car workshop tutorials on basic car safety checks.